If you've been following my blog or instagram account for any amount of time, you know that I love my coffee. I have at least two cups a day, and while I love everything about my daily coffee, I do not love the coffee stains on my teeth. Lately, it's been really bothering me but I can't use the whitestrips from the store because my teeth are so sensitive. That's why I was so excited when Smile Brilliant reached out to partner with me. I couldn't wait to give this at home whitening system a try! It's such a great system, I received custom-fitted teeth whitening trays that I made myself at home. I loved being able to do these molds at home because in high school, I had my teeth professionally whitened at the dentist and it was such a hassle! It was so great to be able to have custom-fitted trays without leaving the house! I usually whiten for an hour in the evenings while I wash and blow-dry my hair and then I follow it up with the desensitizing gel for 15 minutes. Even after the first time I whitened with this system, I could see the coffee stains fading! I seriously loved how easy this was and although I typically smile without showing my teeth, I think I might start flashing those pearly whites alot more now that they're getting so bright! I'm only 4 sessions in so I can't wait to see how white they get! And here I am acting like a dork while my husband takes my photo..
Good luck everyone! And Happy Friday! A couple of months ago, I realized that I really enjoyed having someone else blow-dry my hair. This didn't really come as a shock to me because washing and drying my hair are huge pain points in my day-to-day life. And then I realized that I really enjoy sweating, in a sauna. But I don't enjoy sweating anytime I'm not in a sauna. So, when I realized that the Sweathouse was right across from The Dry House in Green Hills, I realized one more thing, my destiny. What is the Sweathouse, you ask? Well, you can read about the many benefits here but I'll tell you, it's such a relaxing 30 minutes and I leave feeling so great! I heard about this from another one of my favorite instagrammers to follow - Mallory Ervin. She raves about it so I knew I had to give it a shot! So I lay in this little pod, turn on a meditation on the Calm app on my phone and just sweat away. I always feel so great afterwards! Then, when I'm finished sweating I literally cross the street to go to The Dry House for a blowout. Because I'm worth it. The Dry House is a great experience from the second I walk in and I always walk out feeling gorgeous. The products that they use smell like heaven and the best part is that I don't have to wash/dry/style my hair for like five days! That's a huge win for me. What are your favorite ways to treat yourself? Today's post is probably one you'll just want to forward on to your significant other as a little hint-hint, wink-wink. Let him know what you really want for Valentine's Day, besides the roses and fancy dinner of course. Also, I've teamed up with Jord watches and we're doing a giveaway! Enter here: https://www.woodwatches.com/g/tennesseepretty for your chance to win $100 towards a watch of your choice. You'll get a $25 e-code sent to your inbox just for entering! It's probably safe to say that 50% of the blog posts on this website are about hating winter. I don't know how I got here really. Winter used to be such a joyous time for me. Bundling up, sledding, hot cocoa, snow days. Now it's all about scraping windows, waiting for the car to warm up, no snow days, not being able to text through my gloves and saying "I'm freezing" 800 times a day. What's worse is that my lips get chapped, my skin gets dry and my hair gets frizzy. So I'm really glad to be here guys. 1. Nivea In-Shower Body Lotion- I love this stuff because I'm lazy. 2. L'Occitane Almond Shower Oil - soap can be very drying so I prefer shower oil. Bonus points because it smells like heaven. 3. Queen Bee Skincare Lip Balm - lip balm is so obvious but this particular lip balm is my favorite lip balm of all of the lip balms. I got the cinnamon flavor and it's made with good ingredients! It's made here in Maury County. 4. Argan Oil - I got mine from Maple Holistics and I put it on the ends of my hair after I shower. It keeps my hair from drying out and feels amazing after I blowdry. 5. Neocutis Bio-Cream - I've told you all about this time and time again but this is the only moisturizer I use. Winter or not. 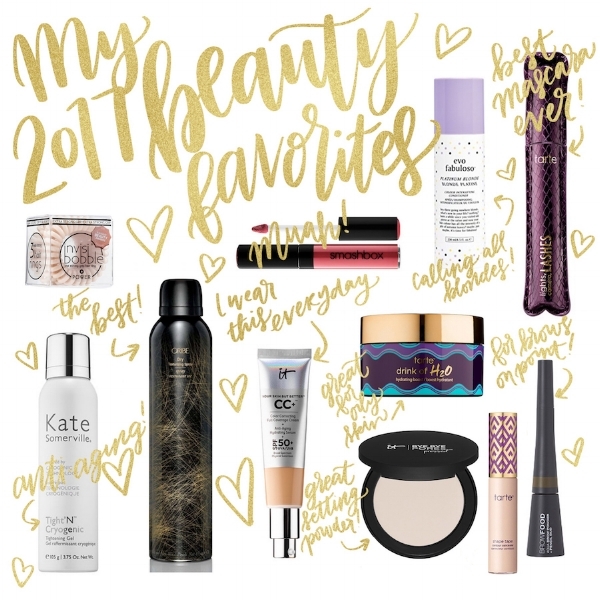 What are some of your go-to winter products? I'd love to know! At least snow looks pretty on our little white house. This is from last winter where I went outside for 2 minutes to take this photo.